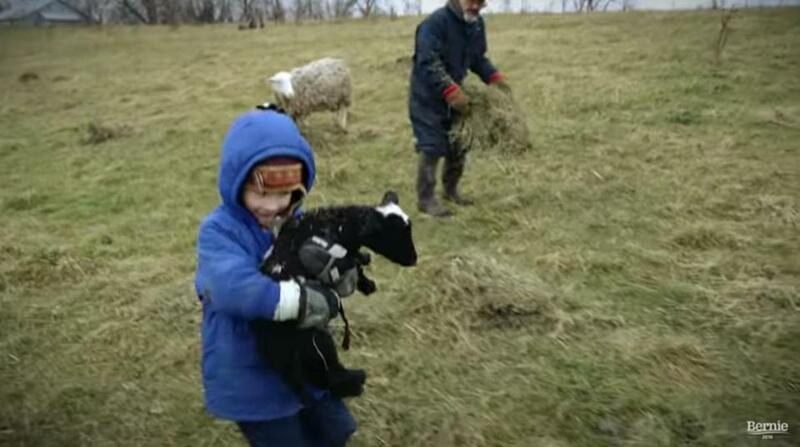 Sanders’ ad features images such as this young rancher. Want chills, Democrats? Watch the Bernie Sanders “America” ad. The ad is brilliant, as everyone says. But after you give into the emotion willed by it, think back to 1968, when “America” was first released on the “Bookends” album. It was a time of tumult, not peace; of division, not unity. The Vietnam War, fight for civil rights, and sexual revolution tore the country apart. Two great American leaders were assassinated: Martin Luther King Jr. and Robert F. Kennedy. After withstanding challenges from the antiwar left, Hubert Humphrey, the Democrats’ establishment candidate, won the party’s nomination at a convention marked by riots and chaos. Richard Nixon, the Republican nominee, embraced the “silent majority.” Their shared enemies included hippies, blacks, feminists, and the media. 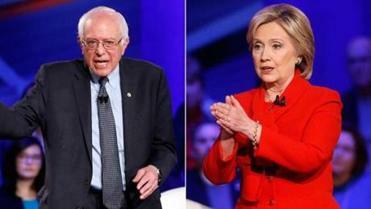 Hillary Clinton and Bernie Sanders presented voters with their dueling perspectives in Monday night’s event. Tied to a president’s unpopular foreign policy and abandoned by the Democratic left, Humphrey lost. Nixon and his Silent Majority won — and won again, four years later. And all these years later, the same forces that defined that presidential election in 1968 still shape American politics, and still divide it. The country is still split, with the same sharp disagreements over war, race, and gender. Each side in an increasingly bitter political debate is still looking for America — and seeking very different solutions to its problems. One side wants to build a wall to keep people out of the country. The other side wants to let people stay, no matter how they got here. One side wants to carpet-bomb terrorists. The other side squeamishly wonders who else might be in the path of those blasts. It’s Cops’ Lives Matter versus Black Lives Matter. A Second Amendment with no limits versus the urge to limit some access to guns. Freedom of religion — unless the religion is Muslim — versus freedom from religion. A country of moral decay or one that celebrates diverse lifestyles. There is also a country on the precipice of fiscal disaster versus one that is on the other side of economic tough times — but still failing millions of Americans. In 2016, that’s the key point where Democrats divide. Sanders’ supporters see Wall Street and a “rigged system” as the enemy of the people and view Hillary Clinton as a sell-out to both. It’s a variation of the theme that split Democrats in 1968. Back then, the revolution was led by Senator Eugene McCarthy and Bobby Kennedy. They challenged the establishment, led by Humphrey. The fight was mainly over Vietnam but the causes of social and economic justice were also part of the internal conflict. With Kennedy’s death, Humphrey won the battle for the nomination, but ultimately lost the general election war. There are echoes of that epic battle in today’s showdown between Sanders and Clinton. And, on the other side, Nixon’s old voter coalition just waits to coalesce around Donald Trump or Ted Cruz. Could Sanders’ “America” ad cut through all that and carve out a place of common ground? Is there such a place in 2016, where “they’ve all come to look for America” and see Sanders as the one who personifies it? Or more likely — does Clinton beat him back and in doing so, become the figurehead of an establishment abandoned yet again by idealists of the political left? “Let us be lovers, we’ll marry our fortunes together, I’ve got some real estate here in my bag,” sing Simon & Garfunkel. That political real estate was a tough sell in 1968. Think how much tougher it is today.